The default text 'Type in a search term' in the Recipients text box is appearing through the menu. 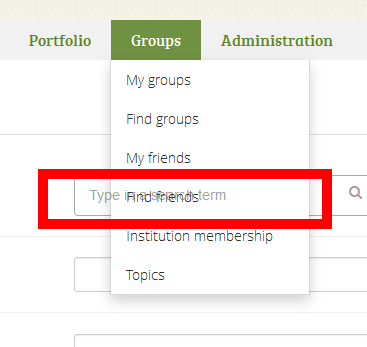 Under Groups, 'Find Friends', 'Institution membership' and 'Topics' are not clickable from the 'Send Message' page. The text also appears through the Portfolio and Content menus, but it does not prevent the sub pages of these menu items from been clicked.